Yesterday, I stepped out of dad’s car with my father and four brothers, in frigid temperatures, to stack wood for my grandfather. The drive from Luray to Stanley is around 20 minutes long, and we figured if we worked fast, our fingers wouldn’t feel too numb. My grandfather lives deep in what we rural folk know as “the hollers,” basically small valleys in between mountains. Simply put: I am part of the community that both the Democratic and Republican Parties have forgotten here in the State of Virginia. According to the Federal Reserve Bank of St. Louis, Page County’s unemployment rate currently rests at 5.6%, nearly double the surrounding counties of Rockingham, Greene, Madison and Rappahannock. The average household in Page County makes $55,416.00 a year, while the average household expenditure is $46,726.00 a year. This leads many here in the county to live paycheck to paycheck. Located between the Blue Ridge and Massanutten mountain ranges, we are unfortunately not positioned near any interstate corridor, with I-64 to our south, I-66 to our north, and I-81 to our west. This unfortunate placement only exacerbates the lack of gainful employment, and keeps the Page Valley isolated from major industrial enterprises. The Valley is starved for more industry and gainful employment. You can ask anyone, from the Shenandoah Valley to the Page Valley and all the way across the western portion of the state, we feel neglected, overtaxed, and downtrodden. We come from a diverse set of political opinions, and don’t sit within the norm of conservative stereotypes. When I used to work at Walmart, the only major shopping outlet in Luray, I frequently got into debates with co-workers, shoppers, and fellow citizens of the county. Throughout my discussions with thousands of people, I can concretely say one thing about political opinion here: we value liberty. The liberty to think and say whatever we feel, raise our families how we wish, keep the majority of what we are paid, and most certainly our right to bear arms. This is why you should support Delegate Nick Freitas for Senate. Del. Freitas has a lengthy history of supporting the Republican Party, going back to high school, when Nick campaigned for Republican candidates at age 15. After the terror attacks that shook the nation during 9/11, he enlisted in United States Army Special Forces, more commonly known as the Green Berets. After two tours in Iraq, he was honorably discharged and then became director of operations for a company that helped with counter insurgency operations in Iraq and Afghanistan. During that time, he was deeply politically involved, being the Chairman of the Culpeper County Republican Committee. As a Delegate, Nick has sponsored legislation that has reduced burdensome state regulations, increased local control of educational decisions, and increased government transparency. He also sponsored House Bill 900, which protects citizens from having their property forcibly seized, requiring there be a proof of guilt to do so. Along with that, with House Bill 2377 he helped to get certain textbooks and other educational materials off of tax doles, saving the taxpayers of Virginia more money. I’m not the only one who thinks Nick is a champion of conservatism, however. Nick has endorsements from Senator Rand Paul (R-KY), who has worked closely with President Trump and his America First agenda; Delegate Todd Gilbert, the Virginia House Majority Leader and Representative of Page and Shenandoah; former narcotics detective and current State Senator Bryce Reeves; Mike Rubino, Virginia Senior Adviser of Trump for President; and Rick Buchanan of the Tea Party Foundation. 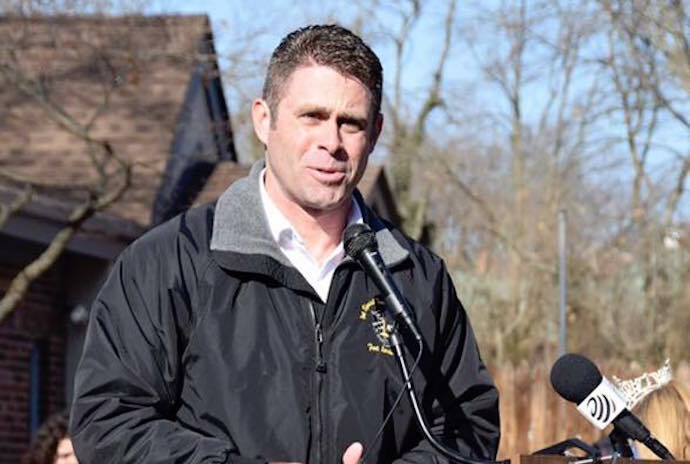 In Nick Freitas, we finally have a Republican candidate with the credentials, life experience, and values to inspire and ignite every segment of the Republican Party, from conservatives to moderates and everywhere in between. This extensive list of policies and endorsements prove, beyond a shadow of a doubt, that Republicans should support Delegate Nick Freitas to help forward Trump’s America First agenda in the Senate, and provide a voice strong enough to defeat Tim Kaine come November. Ian Parish is a long-time resident of Luray, Virginia, and a current sophomore at Liberty University studying political science. Ian has campaigned for Republican candidates since he was 16 years old, and has worked with the Bryce Reeves for Lt. Gov. campaign, Ed Gillespie for Governor, and Ted Cruz for President; along with other delegate's campaigns over the course of the 2017 election cycle.